We hear about it all the time! Is it free? Do I pay extra? What does it include? In this short series, we will look at each dining plan that is offered at Walt Disney World. We will attempt to get into the details about what is included and how it affects your costs, if you pay to include it on your Magic Your Way package. Today, we look at Quick-Service Dining! Quick-Service (or Counter) Service locations are generally places you can eat at on the run, without an Advanced Dining Reservation (ADR), and there may or may not be seating areas provided. The Disney Dining Plan offers a package that includes two quick-service meals and one snack per night of your stay. It also includes a resort-refillable mug usable at your resort food court and can be refilled as often as you like! One thing to remember about the mug is that it is RFID equipped, just sit it under the spout of the drink you desire and press the button, the display will tell you everything you need to know after that. Your quick-service breakfast is one entree or complete combo meal and a single-serving, non-alcoholic beverage. For lunch and dinner just add a dessert! 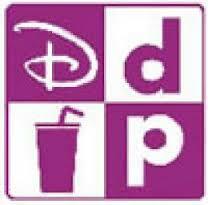 You also get one snack credit that can be used for Mickey Bars, Ice Cream, bottles of soda or water, or anything that has the official DDP logo next to it (see above). When you check into your Walt Disney World Resort, you will receive a total number of entitlements according to the length of stay and type of meal package in which you are participating. Keep an eye on those entitlements, your receipts will show your balance, because many people end up with extras at the end of a trip, and it can be a bit overwhelming to use them all in a few short hours before your vacation ends! A few examples of quick-service (counter-service) restaurants in the parks are: Flame Tree BBQ in Disney’s Animal Kingdom, Sunshine Seasons or Tangerine Cafe in EPCOT, Starring Rolls at Disney’s Hollywood Studios, and Pecos Bills at The Magic Kingdom. Downtown Disney, soon to be Disney Springs, has some good offerings in this area, as well. You can try Wolfgang Puck’s Express, or (my fav) Earl Of Sandwich! The added cost to your package, if you purchase the Quick-Service Dining Plan is $41.99 per adult per night and $16.03 per child per night ages 3 – 9. Look at the eating habits of your family, and check the menus out online at http://www.disneyworld.com to see if this would be a benefit to your trip. The Quick-Service Dining package is often giving at Value level resorts, if a free dining or special package rate is announced by Disney. These meals are really good for those who don’t want to be strapped to a dining schedule and just want to grab on the run. And, many of these locations do offer significant seating areas in shade or air conditioning, if you need time to just chill and recover before moving on to the next attraction. One more thing, your entitlements are connected to your MagicBands, so make sure all is well before you leave the check-in desk at your resort. I hope this is helpful for you all, and I’ll be back soon with a look at the Plus Dining Package! For now, have a Blessed and Magical evening, my friend!